“A spoonful of sugar helps the medicine go down… the medicine go down… a spoonful of sugar helps the medicine go down.. 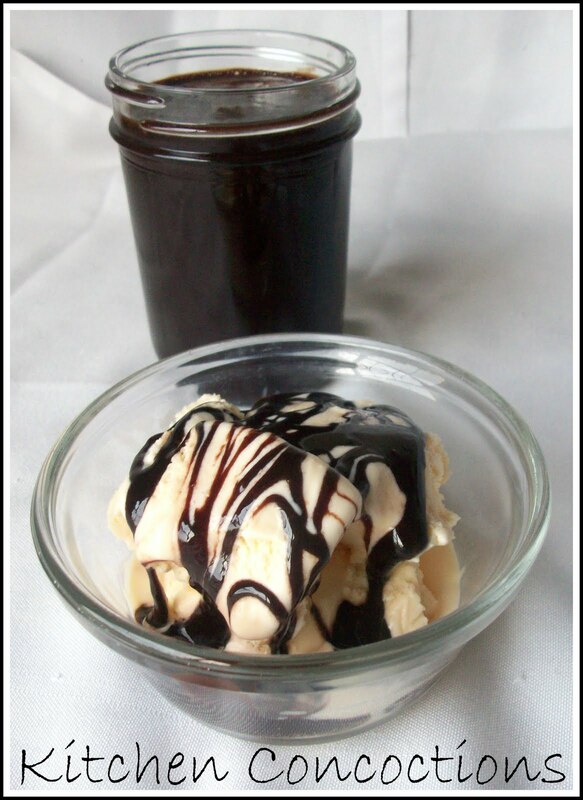 In the most dEliGHtful way!” I was singing this Mary Poppin’s classic the whole time I was making this rich and smooth chocolate syrup. I mean I am not adding this chocolate syrup to medicine, simply ice cream and milk (and licking it straight off the spoon), but I am sure this chocolate syrup would make just about anything taste good! And I don’t feel quite as bad because although this truly sinful concoction has two different types of sugar in it, it doesn’t ‘look’ like pure sugar so I can feel less guilty about having a spoonful, right? I know my logic doesn’t make sense but I guess I just wanted you all to have this catchy little song stuck in YOUR heads too. I know so nice of me. Anyways…. this homemade chocolate syrup was thick and chocolaty. Better than that runny stuff you buy in the bottle at the store. The only slight ‘issue’ I have with this though, is that it has corn syrup. And I KNOW the stigma corn syrup has… I almost came very close to not making this because of the whole corn syrup thing but I figured I would make it was the recipe calls and maybe next time play around with not using the syrup (maybe by adding more regular sugar an water next time). But the way I look at it, this chocolate syrup is a special treat to add to already special treats, like ice cream… so every once in a while is ok, right? Combine the sugar, corn syrup, and water in a large saucepan and place over medium heat. Stir until the sugar dissolves and the syrup is clear. Boil for 5 minutes without stirring. Reduce the heat to low and slowly whisk in the cocoa. Bring back to a simmer and cook 1 minute, stirring constantly. Remove from the heat and cool to room temperature. Stir in vanilla. « Homemade At It’s YUMMIEST!